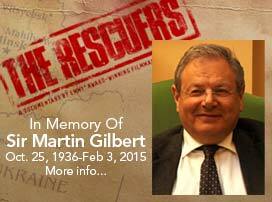 While Steven Spielberg’s Schindler’s List illuminated the previously little-known story of a German businessman who saved hundreds of Jews from the concentration camps during WWII, there were many such heroes who defied the Nazis to save countless Jews from a similar fate—chief among them the 13 diplomats whose efforts are documented in this riveting documentary from Emmy-winning filmmaker Michael King and Executive Producer Joyce D. Mandell. 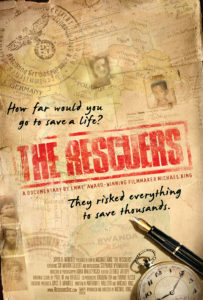 The film traces the journey of Stephanie Nyombayire, a young Rwandan anti-genocide activist who teams up with Sir Martin Gilbert, the renowned Holocaust historian, to travel across 15 countries and three continents interviewing survivors and descendants of the diplomats who rescued tens of thousands of Jews from the unspeakable horrors of the Nazi death camps. While Nyombayire embarks upon this quest in an effort to uncover potential solutions for the ongoing genocide in Darfur and elsewhere, what emerges from their journey is more a testament to the ways in which the inherent good in the human spirit can trump institutional evil no matter what the circumstance.